This is a fantasy game set in the world Glorantha, most likely known only by board game roleplayers. But alas, this is a computer game, and a fine one at that, despite the limited promotion. Originally released in 1999, is being reworked for iOS as of now. The genre is slightly difficult to categorize. You play this small village with seven council members set out to unite (or ruin) the other villages and create a tribe. There is a lot of Glorantha lore, and the game is reliant on a lot of dialogue. You have these aspects of a strategy game, where you allocate farmers, footmen, thralls and hunters and other large scale settings like area of your farmland, trading partners and so on. Yet, it is also a game with adventure and roleplay elements, where you choose the actions your council members take in certain situations. Here is a few pictures to illustrate some of the different actions you may be forced to choose in the game. The art for the game is quite nice, with unique artwork for every choice of yours and even though it has no graphical movement whatsoever, the atmosphere is stunning largely due to the excellent soundtrack. There is a lot of different choices which play a huge impact on how the game develops. For example, there is one scenario where you may discover a new tribe of certain duck-people. If you approach them peacefully, it might develop toward a pact of sorts but the village members might be disturbed by the strange race. You can also force them to give you a part of their harvest every year to help feed your villagers, but this may create a feud in long term, even though you satisfy your villagers hunger in the short term. You can also demand to take over their lands or declare war on them immediately. The religion is an important part of your village. In the image above you are trying to perform a heroquest, where you venture to the lands of the gods in order to gain some sort of wealth for your land. It often comes with a great price to perform a heroquest, but it is also necessary to create a tribe. A major part of your cow herd will die by being sacrifices to gods to learn their mysteries and help in desperate times. With that said, the game is really difficult and I haven't gotten very far myself, despite trying several times on average difficulty. This is an extremely addictive and gripping game which is definitely worth playing. If you do not want to try the old version for the PC, you could wait a month or so for the iOS release which will make it one of the better titles released for iphone/ipad. Is Wu Tang the name of your country/city/village? You can choose the name yourself, but yeah, there it is. Those poor duck people, I hope to god you offered them a peace pact. Super awesome :O Can i torrent this game or smth? I would love to try this game out. Wow, I remember I read a review of this game years ago. I always wanted to try it, but it wasn't available in stores... It really sounds like a special game though. Thanks for reminding me about it! 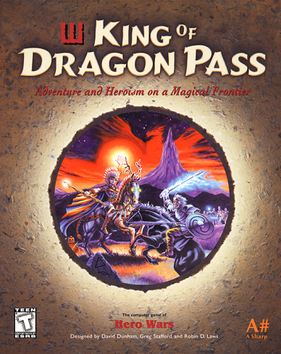 Reminds me a lot of the game, "The Lost Tribe" for the Apple IIgs (also had a DOS version I believe), but King of Dragon Pass looks a bit more complex and deeper. Lost Tribe was a very difficult game, but very fun. Another awesome game from way back when that I've played through many many times is called Escape Velocity Nova ... 6 major different playthroughs in terms of plot, as well as other kinds of open ended stuff you can do (like take over the galaxy and make everyone pay tribute to you lol). I like the style of art... haven't seen that type of thing in ages. Released for the Playstation 1 in 1997 i played it on my psp just days ago. At first look this seems to be Snes game but it really is for the ps1. the game is awesome it has an alternate ending and many secrets to find out. Unlucky it came out the same time with FF 7, which i personally hate. So everbody was playing FF7 for its uber graphics when really this game had it all. It´s an action adventure i would say, just watch some vids on youtube Like Chrono Trigger its a masterpiece. And forget every other Castlevania... this is t3h sh1t. In 1998, Symphony of the Night was awarded PlayStation Game of the Year by Electronic Gaming Monthly. It was also ranked 4th place on EGM's 100 greatest games of all time, and the highest PS1 game on the list. 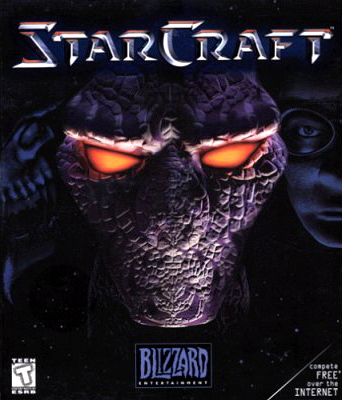 It was also named Game of the Year by PSM in its list of the top ten games of 1997. It has made a number of "greatest game" lists, notably GameSpot's "The Greatest Games of All Time" list, being one of the first inductees. It also placed 16th on IGN's "Top 100 Games of All Time" and 24th in Game Informer's "Top 200 Video Games Ever". GamePro listed the discovery of the inverted castle as the twenty-sixth greatest moment in gaming. WeDoLists ranked Symphony of the Night as the second greatest soundtrack of all time for the video game genre. This game looks pretty interesting..
And Duck People? Apparently, I need to play this game. It looks too scary for my innocent mind. I can barely play Baulder's Gate. Thanks very much this post. Looked gripping, and I've just been trying it out today. As you say, it's quite hard going, but I'm enjoying it. I really like the artwork and the difficult choices. If I had to make a criticism, I'd say the music gets repetitive (even though it's good), and some of the quests give you a series of choices in which you are working with basically no information, and so can be quite frustrating. This game sounds really interesting tbh. I wish I had time to play all of the ones you're going to post. And could you please put the previous titles in a list at the bottom of your post? It'd help if you get to say 5+ games. Links would be great as well. you can just view previous blogs no?